In 20 years, there will be more robots than humans, people will date through their avatars and drones will deliver pizzas. That's the vision many Americans have of the future, according to a study from the Imperial College of London, which surveyed more than 2,000 Americans about how they believe technology will transform their lives. The study, was released today to mark the beginning of Technology Week in London, shows that one in four adult Americans expect there will be more robots than people by 2036. It also found that 35% expect people to date via avatars instead of in person and 69% says cashless technologies will replace paper money and coins. Ezra Gottheil, an analyst with Technology Business Research, isn't quite as technologically optimistic as many in the survey. "Well, I'd have problems with both those specific predictions," he told Computerworld. "Drones are going to be subject to flight restrictions because of the density of traffic, but there will be a lot of robots doing things people do now. 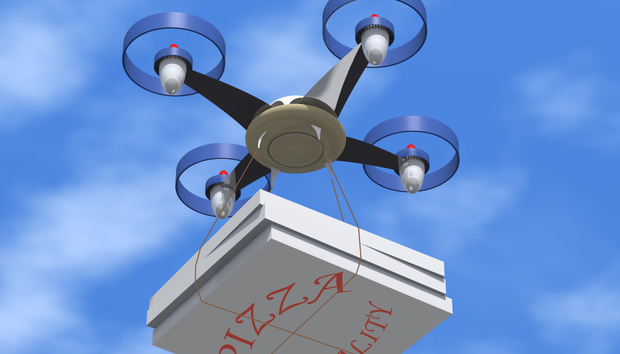 I have little doubt that pizzas will be delivered -- and probably made -- by unmanned vehicles." And Gottheil said he doesn't buy the avatar dating prediction at all. The Americans surveyed also foresee technology changing healthcare. Some of those surveyed said they expect to use virtual reality to "see" their doctor in the 2030s, rather than physically going to the doctor's office. When someone needs an organ transplant, instead of waiting nervously on a donor list, a 3D printer will simply make the organ they need. And a little less than half of those surveyed also say the world's first cloned human will have been born by 2036. Gottheil isn't sure society is ready for that yet. "I think we're close to being able to clone people," he said. "Well, maybe able, but ethics prevent us from doing so. Well, either ethics or crowds with pitchforks."